A few weeks ago, thousands of New Yorkers and non–New Yorkers alike got their first glimpse of Apple’s new bagel emoji, and to say we were disappointed would be a massive understatement. The overly shiny bagel with nary a hint of cream cheese — or even butter — became a visual symbol of everything wrong with mass-produced, bready bagels and a personal affront to anyone who’s enjoyed a great bagel. 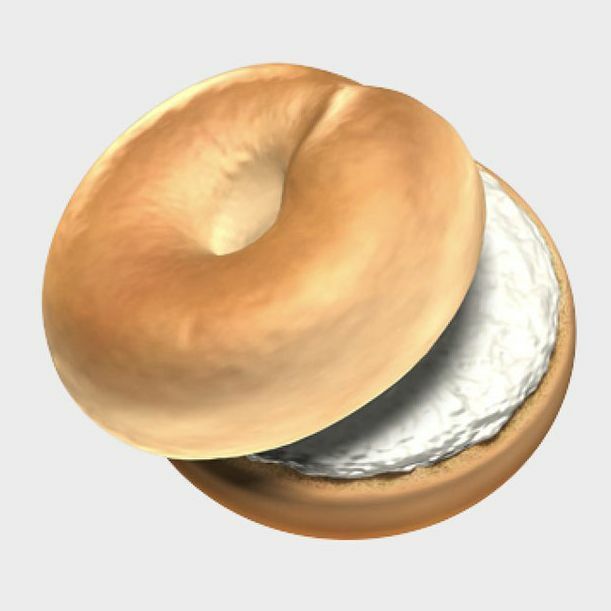 Well, the folks over at Emojipedia, who keep a rather close eye on this type of thing, noticed that in the upcoming Apple update, the emoji bagel has undergone a radical makeover à la Anne Hathaway in The Princess Diaries. Not only does this new bagel look significantly more realistic, with a beautiful, imperfect dimple in its crust and a clearly cut edge on the top half, but Apple added cream cheese. Cream cheese, the undisputed king of bagel toppings and the foundation of all great bagel orders. It’s nice to know that sometimes, if you cause enough fuss, the corporate overlords listen. We look forward to using this emoji excessively.